After a bit of an absence we’re back with some heat. 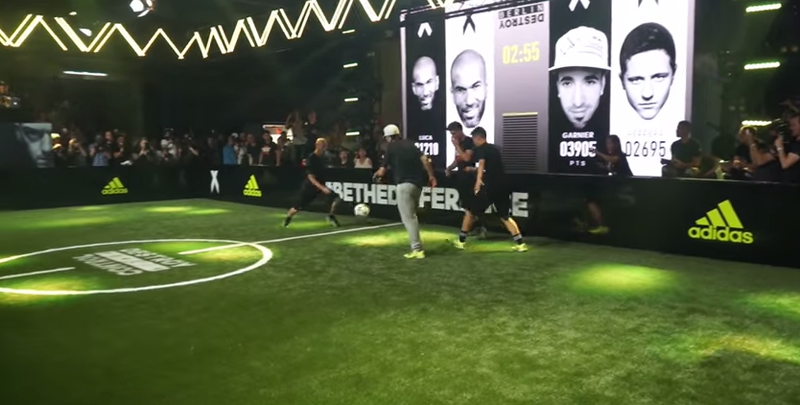 The legend himself, Zizou, and his progeny Enzo (currently learning his trade in the Real Madrid youth team) take on Ander Herrera and freestyle genius Sean Garnier of old man balling fame in a two vs. two dribbling�battle on�Adidas’ current freestyle football tour. More than a couple moves to steal from this one, and it’s always good to see the King step on to a pitch again. Long Live Zidane.